Jazz up the look of your property with window coverings from Lolo’s Blind and Drape Studio. We are a window treatments dealer located in Sarasota, FL. Our products come from some of the most well-known manufacturers in the industry. We take pride in providing the highest standard of customer service and first-rate items at various price points. We can accommodate clients regardless of their budget or lifestyle. Lolo’s Blind and Drape Studio is a locally owned and insured company. We have been in business for more than 20 years. Our owner, Anne Stuckey, came from Scotland. Eventually, Anne was able to start her own business in the United States 13 years ago. We gladly welcome our customers to our showroom in Southside Village. Appointments are not required, so feel free to drop by our showroom today! If you’re unsure which products best fit your home, our experienced designers can visit your property and conduct a free consultation. 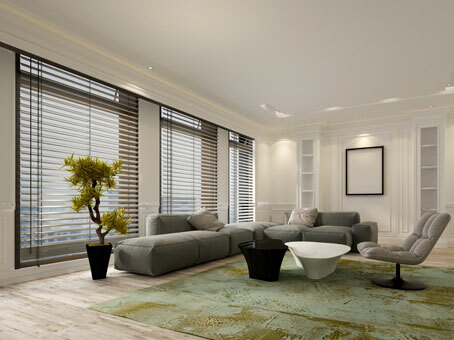 Accessorize your home with stylish window coverings. Contact Lolo’s Blind and Drape Studio to inquire about our products. You may also get in touch with us to learn more about our window treatment installations, onsite repairs, and other services.